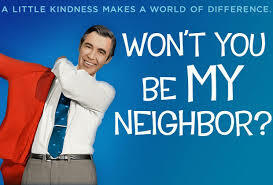 On Saturday, October 27th at 7 p.m. join us for a movie night as together we watch “Will You Be My Neighbor?” the award winning documentary about Fred Rogers. Refreshments and discussion will follow. All are welcome.